You Might Be Wondering, Do I Need A Creative Agency? The Answer Is Simple… Um, Yess!! We are living in a visual world and we are all visual squirrels. So why not gift your brand and your guests with the best visual story? 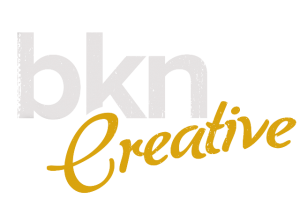 We are BKN Creative. We are passionate about your creative journey and made it our goal to gather the most talented and dedicated group of individuals out there to help bust out strategies and techniques to elevate your brand and start producing a stellar return! We specialize in Graphic Design, Photography, Video Production, Animation, Copywriting Services and more. We are conceptual, creative, passionate, collaborative, dedicated, fun, fresh and friendly. Check out what we have to offer at bkncreative.com, then meet us for a cup of joe!